You are here: Home › Holy Inflation! We’ve now been back in Buenos Aires for a little over two weeks after being in the States for just over three months. The first thing we noticed upon being back (aside from the poor paper towel and toilet paper) was the amount that prices have increased. And the official government numbers show 9% inflation? Sure it is. 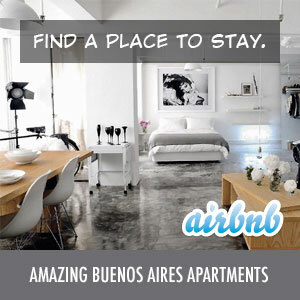 While Buenos Aires may be affordable (if you’re earning dollars), it is definitely no longer cheap. Coming from New York City, you may find things to be a bit of a bargain, but comparing it to many smaller suburban cities, I’d say prices are pretty close when you’re shopping for groceries or goods. The one place where BA still beats the US is in services. House keepers, nannies, health and beauty services, etc. are still a bargain. No Cheese Balls in Argentina? Sugarfree Red Bull. For some reason, only regular Red Bull exists in BA. Stonyfield Farms Organic Yogurt – nothing in BA compares to the creaminess of this. Electronics purchases – $50 for a refurbished Vizio soundbar that is now in BA with me. $99 for an HP Touchpad. A new Kindle. Ahhh…I am going to save so much money now. It’s amazing that after three months we have to go through this adjustment period, but that just goes to show that even after being here for almost three years, there are a lot of differences – both good and bad.